The Adventures of an Intrepid Reader: Finally! 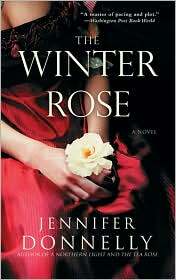 A few years ago now I read a book which I absolutely loved called The Winter Rose by Jennifer Donnelly, the second book in the Rose trilogy. It is a Victorian saga style novel and it was one of my favourite reads of 2006. The first book in the trilogy was called The Tea Rose and followed a young girl from a poor part of London as she forges her way through the tea business at the turn of end of the 19th century. The Winter Rose was once again set in the rough docks areas of London, and this time the main female character was a young doctor. Wanted to let you know that I just turned in a first draft manuscript of The Wild Rose! This third and final part of the Rose saga follows Seamie’s and Willa’s story, introduces a few new characters, and – of course! – brings back a few old ones. "Finished" is a very relative word when talking about manuscripts. There will be a bit of backing and forthing first, between me and my editor, until we arrive at a final manuscript, and then proofreading and fact-checking. But The Wild Rose should be out in stores sometime during 2011. As soon as I have a firm publication date, I will post it in the calendar section of the Web site. Thank you so much for all the encouraging emails you sent as I wrote this book, and for your patience! I can already tell you that the third book, The Wild Rose, is going to be one of my most anticipated releases for next year! This is the 2nd best news I've gotten in the past 10 minutes! I just read at Daphne's that Margaret George's novel about Elizabeth I is coming out in 2011 and now this one! WOOOOOO HOOOOOOO!!!! And we thought 2010 was good....2011 is looking HOT! Thanks for this news Marg!!! AHH! I'm so excited! I have been patiently waiting for this. I may have to reread the first two books! YAY!!! So glad you posted this :) I have been eagerly waiting for news for Wild Rose! I canNOT wait!! Oh good news indeed. Thanks for posting this. Might have to read the first two again prior to release. 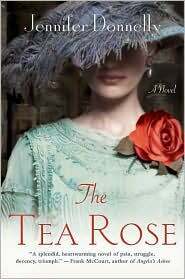 I have seen The Tea Rose around but had no idea it was part of a series. I really must check it out! I have The Tea Rose, but haven't yet read it. It sounds like it's a great series though! Thanks for the update!! Now that there is a date I must read the first two books! I love being able to anxiously await the release of a book that is part of a series I love. It is always great to have something wonderful like a new book to loo forward to!